With a fat front tire and steel peanut tank, this low-slung urban brawler is ready to rip through any scene. 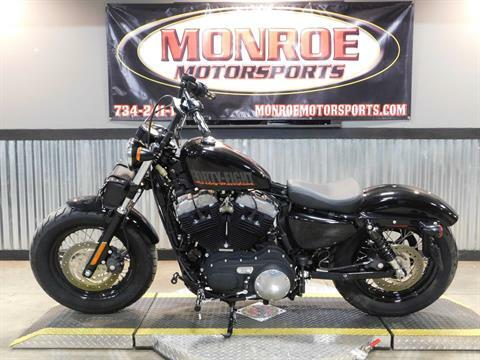 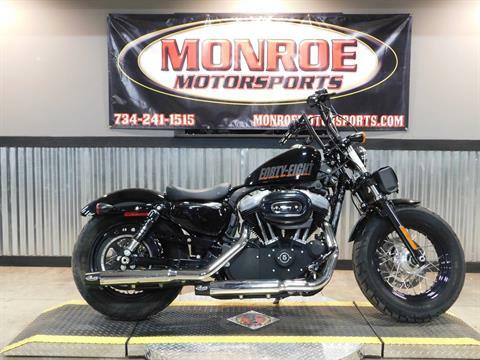 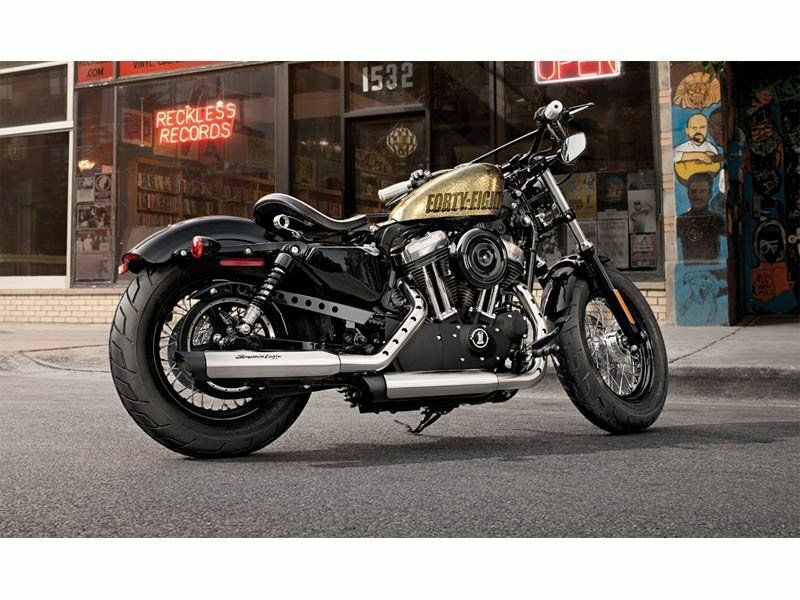 The 2013 Harley-Davidson® Sportster® Forty-Eight® model XL1200X is one of the garage custom motorcycles in the Harley® Dark Custom™ line. This bike cruises down the road with a 1200 cc Evolution® engine – an engine with a true Harley-Davidson soul. 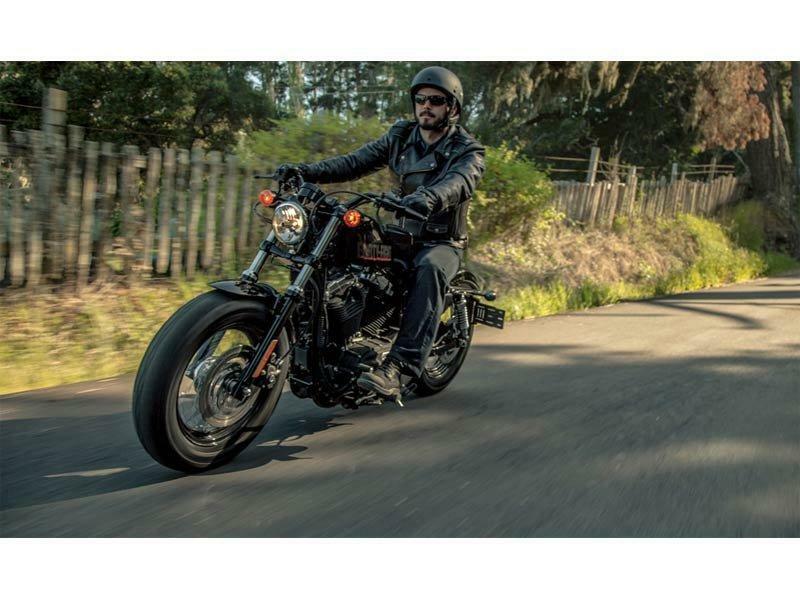 New for 2013, the Harley-Davidson Forty-Eight model comes with optional Hard Candy Custom™ paint, a large metal flake paint finish that recalls the iconic styling of 1970s custom bikes, and offers blazing color showing through a deep, rich finish. 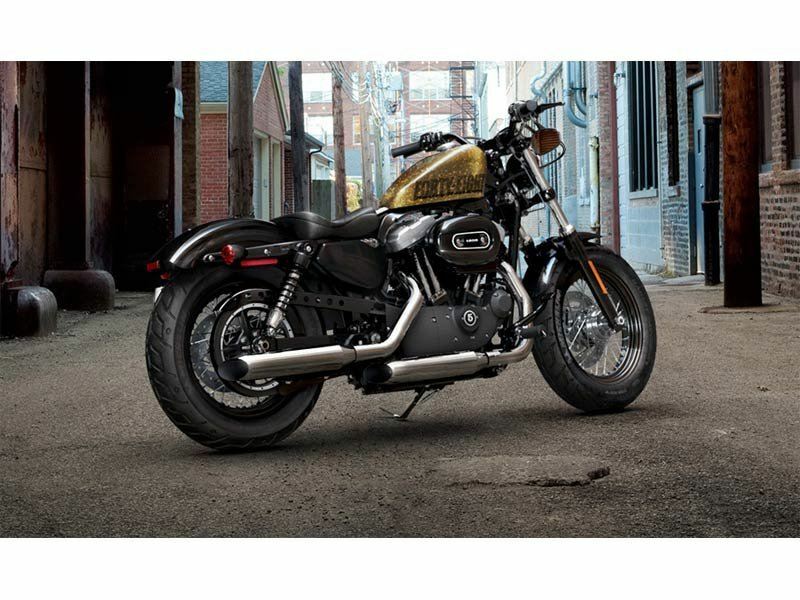 The Forty-Eight model also has an authentic peanut tank which first appeared on Harley-Davidson back in 1948 (its name origin) and has been a defining Sportster feature ever since. The front end of the bike looks beefy with its fat MT90 tire. 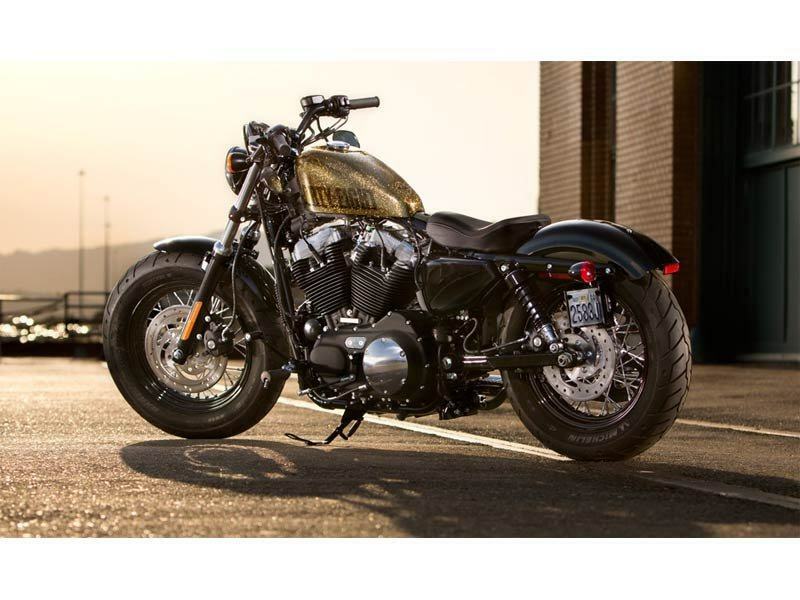 The Harley Sportster Forty-Eight model look is enhanced with the lowered front and rear suspension. Add a low seat height, and you have a serious looking motorcycle with an approachable riding stance. Take some time and look over the features of this Harley Dark Custom model, including the unique under mount motorcycle mirrors. The Harley Forty-Eight model is one of the many Harley Sportster bikes, each with a different style. 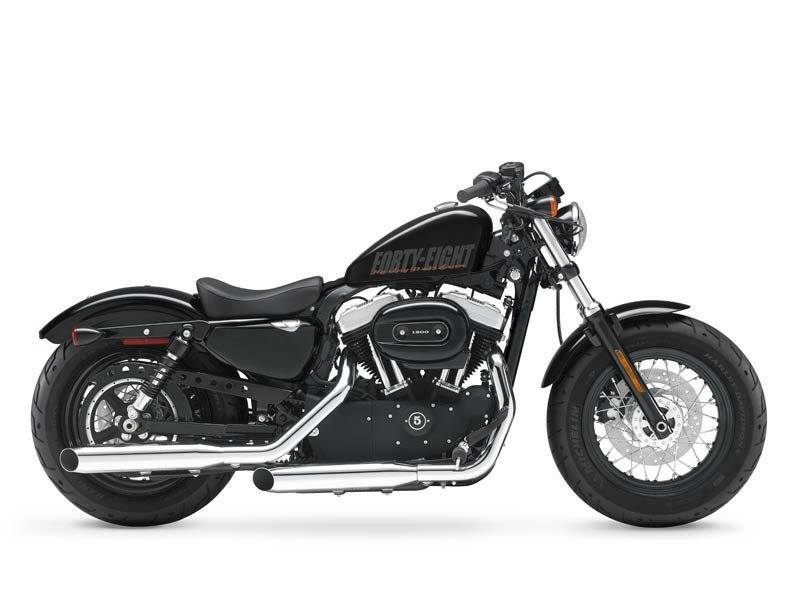 Check out the Sportster XL883L model, and all the other Sportster custom bikes including the Iron 883™ model.